This coming week, global satellite leaders will gather at Euroconsult's World Satellite Business Conference in Paris to discuss the satcom industry which is undergoing a major transformation. We will be hearing discussions from leading operators, investors and bankers on technology innovations, new market opportunities, as well as outlooks for mega LEO constellations and Hybrid HAPS (High Altitude Pseudo-Satellites). SES’s 1H sales were up slightly, driving by high double-digit growth from mobility. It reaffirmed full year guidance at the high end of guidance on Networks strength. The company discussed the value of its hybrid GEO and MEO networks to support Maritime Cruise customers as it combines extremely high density and throughput of MEO with wide area coverage of GEO. Its hybrid networks are well-suited for cellular backhaul and enterprise data. GEO is good at connecting widely distributed towers or sites, while MEO provides high capacity trunk aggregating internet access. Eutelsat expects to return to slight growth in the coming year. The company decided to go alone on a powerful new satellite, Konnect VHTS (Very High Throughput Satellite) with a launch in 2021, instead of investing in a ViaSat-3 satellite. Eutelsat believes this will be a game changer to support its expansion into the large European Fixed Broadband and in-flight connectivity markets due to its €1 million capex per gigabit production target, enabling the provision of fiber-like service at fiber-like price. Intelsat reiterated its goal of stabilizing its core market and investing for growth. However, the key focus for the company is the joint proposal with SES and Eutelsat for the future use of their C-band spectrum to accelerate 5G wireless deployment in the US. It is estimated that success for the proposal could yield a “transformative windfall” of $5 billion to $13 billion for the three operators. Intelsat’s shares have soared more than 600% since the announcement in February due to the potential to reduce the company’s $14 billion debt. The US Federal Communications Commission (FCC) is expected to rule on the proposal in 1H of 2019. Intelsat and SES serve more than 90% of the C band market, while Eutelsat has about 5% of the market in North America. What do these results mean in terms of the broad trends of the satcom industry? Communications on the move and broadband remain the bright spot for operators. Although mobility accounts for a small portion of overall market revenue, it is experiencing double-digit growth. The two primary mobility markets are Aero (cockpit, in-flight connectivity) and Maritime (merchant shipping, offshore rigs, cruise ships, yachts). Overall, operators view fixed and mobile broadband as a key long-term growth engine. Satellites are becoming more mainstream data networks as prices come down. Cellular and WiFi might still be cheaper, but they only cover about 10% of the earth’s surface. In addition, the cost gap between satellite and terrestrial is closing with the latest generation of satellite. Only satellite networks can deliver ubiquitous 100% coverage to meet the growing expectations of people and devices being connected 24/7 everywhere. Surge of HTS capacity in GEO and LEO is likely to be disruptive in the coming years. However, pricing pressure on capacity will likely continue with a massive amount of new and low-cost capacity coming online from new mega-constellations in Low-Earth-Orbit (LEO). At least ten companies including OneWeb, SpaceX, LeoSat and Telesat are planning to launch constellations of hundreds or thousands of satellites in LEO for broadband that could lead to a 20-fold increase in capacity by 2015. At the same time, incumbent Geosynchronous (GEO) operators are upgrading their networks with High Throughput Satellites (HTS). We look forward to hearing from industry leaders and experts on new business case, emerging new applications and get the latest update from launch to antenna and ground equipment. We see lower cost, high-speed internet driving more video streaming and gaming, and spuring new applications for consumer and different industry verticals. 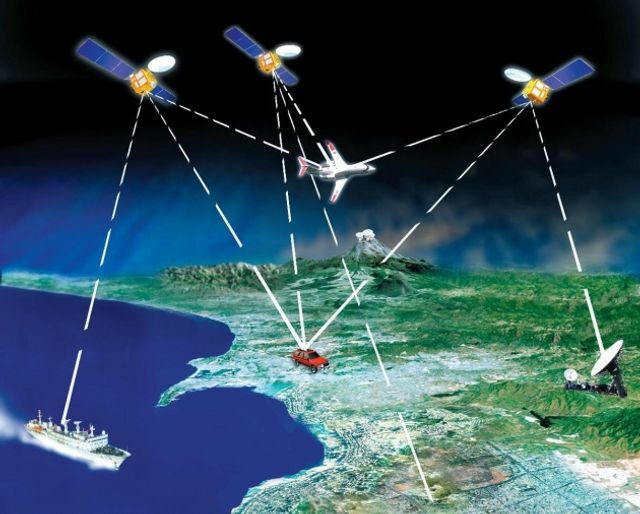 Ubiquitous satellite coverage will drive connectivity of rapidly growing Internet of Things (IoT) from asset tracking, autonomous vehicles, to smart city, intelligent transportation and etc. Finally, low-cost and easy-to-install antennas and ground stations that can track hundreds and thousands of satellites need to be ready to unlock the tremendous market potential.